The 2019 Hyundai Santa Fe is more expensive, but not by as much as you might think. And dare we say that the Santa Fe has better value. The Santa Fe starts at just $25,000, a steal for a vehicle this size. And Hyundai hasn't skimped on the active safety features, technology and other features. The list of standard features includes forward collision avoidance assist with pedestrian detection, driver attention monitoring, adaptive cruise control with full stop-and-go capability, blind spot monitoring, lane keep assist, rear cross traffic alert, safe exit assist, rearview camera, automatic high-beam headlights, 7-inch infotainment display, Bluetooth, Apple CarPlay, Android Auto, and remote keyless entry. That's a lot of tech and a lot of car for relatively little money. Meanwhile, the 2019 Ford Escape starts at $24,105, only $900 less expensive than the much larger Hyundai Santa Fe. But you might be surprised at how little the standard tech is, namely rearview camera, MyKey, and voice-activated SYNC infotainment system with 4.2-inch display screen, six-speaker audio system, and USB port. The Santa Fe seems to have more tech and, frankly, more overall value. In what represents a really surprising upset, the 2019 Hyundai Santa Fe offers better fuel economy than the much smaller Ford Escape. Usually the heavier vehicle has poorer gas mileage. But the Santa Fe has exceptional fuel economy for its class, getting 22 city miles and 29 highway miles per gallon. For its part, the Ford Escape gets the same highway miles per gallon but gets a disappointing 21 city miles per gallon. The Santa Fe comes out the winner here, especially when you factor in its larger fuel tank which helps you go that extra mile or twenty. And, in case you're wondering whether the Ford Escape's poor fuel economy is simply due to its athletic engine, take a look at these numbers. 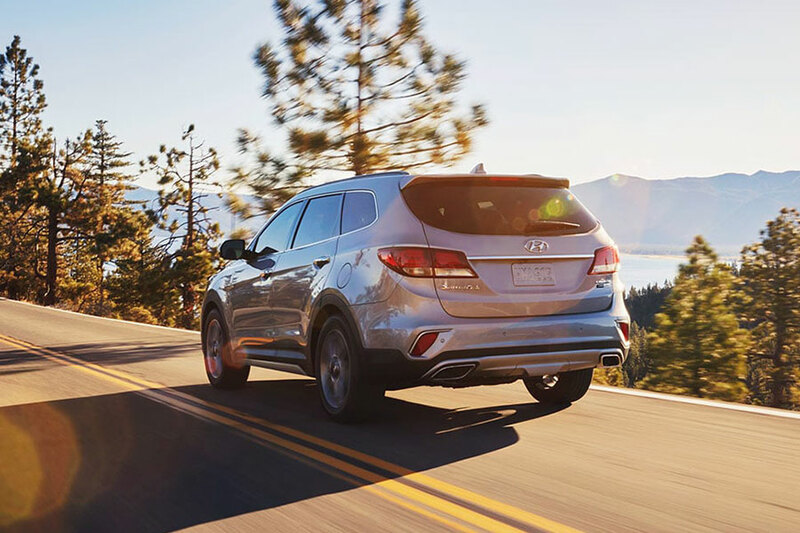 The 2019 Hyundai Santa Fe offers a 185-horsepower base engine, and an optional turbocharged engine makes 235 horsepower. Compare that to the Ford Escape, which has a base engine 168-horsepower 2.5-liter four-cylinder engine or a turbocharged 2.0-liter four-cylinder option puts out 245 horsepower. The difference in horsepower isn't so great to make up for the difference in size in relation to mpg. If you like great deals, we suggest the Hyundai Santa Fe. You'll get more passenger space and cargo room and better fuel economy for only slightly more money. That's good value.